McGraw-Hill. New. 2000. First Edition. Softcover. 0737304952 . New book, small remainder mark bottom edge of pages and slight shelfwear to cover edges. 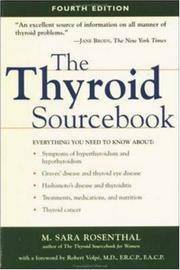 ; 8vo 8" - 9" tall; 288 pages; Answers an overwhelming need for accurate, easily understood, compassionate information about the many conditions that can affect the thyroid and, ultimately, overall health. Covering diseases and disorders from hyperthyroidism to cancer--which, all told, affect millions of lives--this updated edition is a must-have for everyone interested in maintaining good health. (438-noto) . Fredericpatenaude.com. New. 2006. First Edition. Softcover. 9781449558451 . 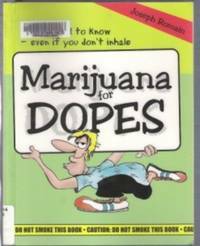 Self-published by author, 2006, same ISBN as Createspace edition. New book, with no markings. ; 8vo 8" - 9" tall; 215 pages; The Raw Secrets will help you live sustainably on the raw vegan diet and overcome the problems you may have encountered in doing so. Based on logical principles, the raw vegan diet still often falls short of expectation. Instead of improvements in their health, many people see deterioration. Others experience less rejuvenation than they anticipated, or find themselves unable to maintain balance in the long-term. This results solely from a lack of understanding of the guiding principles of natural diet, from the widespread misinformation about it, and the gross errors that follow. The 31, succinct chapters give unique insights on many topics affecting those considering a high-raw or all-raw diet. Each holds dozens of tips to help you eat a pure, simple, nourishing diet. If you are tired of the same, boring, repetitive information found in nearly every other book on the raw vegan diet, then you're in for a surprise! 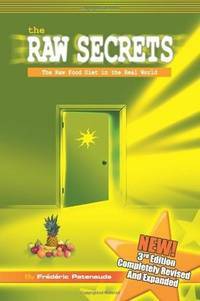 If you seek groundbreaking research and a fresh perspective on raw eating, you will find them in The Raw Secrets. Here are some topics covered: * The deadly errors of the raw food diet and how to avoid them * The most overlooked and important causes for lack of energy * Why certain foods are poisons and drugs and how to find out which ones to are * An absolutely effective and low-cost way to give up bad habits * All about a healthy diet that doesn't require you to buy special supplements * Sure signs that the diet you're on is not working for you (even if it's raw) * The easiest and best way to transition to a raw food diet. (360os,0514) . Sat Yuga Press. New. 1998. First Edition. Softcover. 0965804224 . Oversize softcover, 669 pages. New book with minor shelfwear involving light scuffing of cover and slight rubbing one bottom edge. 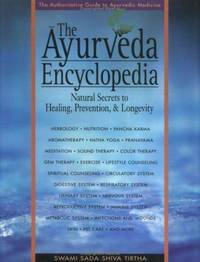 ; 4to 11" - 13" tall; 669 pages; Here is an all-inclusive reference to ayurveda beneficial for families as well as health practitioners. Included are the basic principles of ayurveda; its history; and a generous selection of therapies including herbs, nutrition, aromas, meditation, colors, gems, exercise, special message techniques, and rejuvenating measures known as pancha karma. Pathology and diagnosis are covered in plain English along with a discussion of the most commonly used ayurvedic herbs. Other new information includes ayurvedic hatha yoga, general healing, pregnancy and post-partum, and stress reduction. (Note: Due to heavy weight, extra postage will be required. Contact us if you'd like an exact quote)  . Attacking Hay Fever and Winning! By Frompovich, Catherine J. , D. Sc. PA: C J Frompovich Pub.. Very Good+. 1981. First Edition. Softcover. 0935322159 . Stapled booklet, 27 pages. Very nice condition. Pages clean and intact. Cover has light soiling and light age tanning to edges. Contents: Hay Fever, what is it? ; The Importance of Colon Health; A Proper Elimination Diet; An Effective Pollinosis Diet; Additional Supplementary Help; Biological Therapies. ISBN: 0935322159. (70os) ; 8vo 8" - 9" tall . Bernard Jensen Intl. Near Fine. 1981. Second Printing. Softcover. 0932615090 . Stapled booklet, 35 pages. 2nd printing 1981. Excellent condition, pages clean and intact. Cover has slight wear to edges and old price sticker on rear. Classic Dr. Jensen booklet on healthy eating. (75os) ; 8vo 8" - 9" tall; 35 pages . Alberta: Global Health Research Institute. Very Good. 1988. First Edition; Second Printing. Softcover. 0921202024 . Stapled booklet 56 pages. Pages clean and intact, no markings. Cover has slight wear at corners, slight soiling and crease across rear cover. B/w illustrations. Discover the amazing healing and preventative properties of ancient and modern herbs for the 21st century. (96os) ; 8vo 8" - 9" tall; 56 pages . Bernard Jensen Intl. Very Good. 1988. First Edition. Softcover. 0932615198 . Stapled booklet, 66 pages. Very good condition, pages clean and unmarked, colour photos. Cover has some scuffing, small bookstore sticker on upper corner and slight wear to edges. Old price sticker on rear. "Everything in life and nature comes from vibration - light, color, sound, music, heat, even the waves of the ocean and the shapes of the mountains. In this book, Dr, Jensen discusses the many ways in which the finer forces around us - especially color, music and sound - influence our lives and health...." (125os) ; 8vo 8" - 9" tall; 66 pages . Macrobiotic Assn of Connecticut. Very Good+. 1987. First Edition. Softcover. Stapled booklet - 46 pages. Pages clean and unmarked. Cover has light edgewear, light soiling and old price sticker on rear. B/w illus. Contents: Dietary recommendations; Recommended daily proportions; foods to reduce or avoid; Way of life suggestions; Daily reflections; Patients with cancer or other serious illnesses; Special dishes; Home remedies; Baby food suggestions and others. (90os) ; 8vo 8" - 9" tall . Les Editions du Detail. Near Fine. 1994. First Edition. Softcover. 2980427705 . Excellent condition, clean and unmarked, 147 pages. Overall wear is minimal. Price sticker on rear. 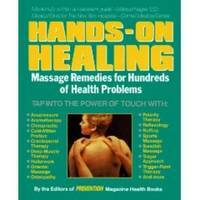 This guide addresses 111 illnesses and lists 170 homeopathic remedies. Summaries in tabular form will help you understand what you need to know. Also, contains a section on Veterinary medicine, specifically for use in treating your pets. (160os) ; 8vo 8" - 9" tall . Healing Arts Press. Very Good. 1991. First Edition. Softcover. 0892814330 . Very nice condition. Pages clean and unmarked other than previous owner's name written quite small on first endpage. Cover has slight wear at corners and a little scuffing. 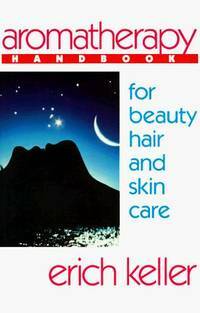 This complete guide to aromatherapy in hair and skin care allows you freedom from the commercial world of preservatives and additives - and access to cosmetics that are custom made, natural, vibrant and health-giving. (320os) ; 8vo 8" - 9" tall; 189 pages . Meyerbooks. Good. 1982. First Edition. Softcover. 0916638065 . Pages clean and unmarked, light corner curling of pages and cover. Cover has light wear and rubbing to edges/corners, price sticker on rear. "The more familiar one becomes with the therapeutic values of our everyday plant foods, the better one can understand how these foods can be used as the natural healing agents of organic ailments......" (178os ) ; 0.5 x 9 x 6 Inches; 92 pages . Bantam. Near Fine. 1997. First Edition. Softcover. 0553403974 . Very nice condition, pages clean, tight and unmarked. Cover has slight wear at corners, light creasing on spine and minor scuffing. 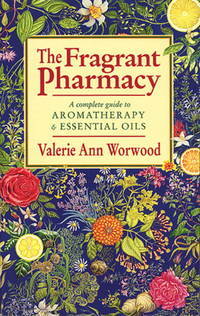 ; 8vo 8" - 9" tall; 546 pages; The Fragrant Pharmacy shows how each essential oil can offer many diverse benefits. One of the most holistic of all systems of medicine, the oils can alleviate symptoms, prevent many illnesses and disorders and help in thier healing process. But more than that, they can provide all of us--our families, our homes, even our pet--with the protection and pleasures we need...without the chemical pollution of our bodies or our environment. This illuminating and imaginative book of aromatherapy is the household manual of the future. It is a treasury of information about precious life-and health-enhancing liquids that work in complex harmony with people and planet alike. Here is a comprehensive encyclopaedia of 'medicines out of the earth', those miracles of creation which revitalise and rejuvenate, enhance our emotions and help our work and play. It charts out for all of us a fragrant way to family health and home delights. (435noto) . Viking Canada (HC). Very Good in Very Good dust jacket. 2006. First Edition. Hardcover. 0670064483 . Ex-library book, but still in quite good condition - usual ex-lib type of markings and brodart sleeve over jacket. Protective sleeve has some scuffing. Pages are clean and intact, a few pages near centre and a couple near the front have some wrinkling to bottom edge. This doesn't affect readability and all pages turn freely. Light soiling outer edge of pages. Illustrated in colour. ; 8vo 8" - 9" tall; 208 pages; Adam is a young and incredibly gifted distant-energy healer. He first discovered his ability to heal people at the age of fourteen. Now he is one of the worlds most in-demand energy healers. In The Path of the DreamHealer, Adam shares the miraculous story of how he discovered his ability to heal injuries and illness. He explains that we are all interconnected, and with a focused intention to heal and the power of energy we all have the ability to heal ourselves. Adam demystifies scientific concepts and explains how all knowledge in the universe exists in the form of energy that can be accessed for healing through intuition and intentions. He discusses the more personal and metaphysical aspects of this oneness and interconnectedness as it relates to your health. What role do your beliefs and emotions play? How does universal energy manifest itself in consciousness, reincarnation, karma, and past lives? 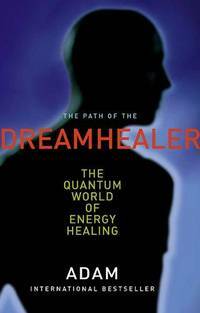 The Path of the DreamHealer features Adams healing visualizations that have given thousands of people incredible strength and empowerment to participate in their own healing with profound and lasting changes. Remember, you have the tools to positively influence your own health physically, emotionally, and spiritually. (550, 0811) . 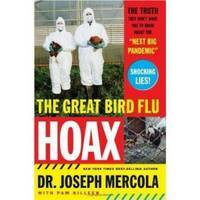 THE GREAT BIRD FLU HOAX The Truth They Don't Want You to Know About the "Next Big Pandemic"
Thomas Nelson. New in New dust jacket. 2006. First Edition. Hardcover. 0785221875 . New book with no markings. ; 8vo 8" - 9" tall; 240 pages; The U. S. Government is now practically screaming that a new avian super-flu will likely kill millions of Americans. The mainstream media is entirely onboard, as are drug companies and other corporations poised to benefit immensely off the paranoia. But there is NO coming bird flu pandemic. It's an elaborate scheme contrived by the government and big business for reasons that boil down to power and money. Presenting eye-opening evidence that casts serious doubt on the truthfulness of reports about the virus's ability to transmit, and its mortality rates around the world, renowned physician Dr. Joseph Mercola reveals the secrets about the great bird flu hoax. In compelling fashion he provides you the real facts you need to know to protect you from a far greater ill - corporate and governmental greed. (365-noto) . Macmillan of Canada. Very Good. 1994. First Edition. Softcover. 0771590458 . Very nice condition - pages are clean and tight, with no markings. Cover has light edge and corner wear and a little corner curling. A little wrinkling to upper corner last few pages. 262 pages. ; Large 8vo 9" - 10" tall; 262 pages; The evidence is in millions of people are moving toward a vegetarian diet because it offers a healthful and environmentally sound alternative to the standard diet. 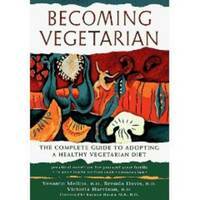 Becoming Vegetarian is the ultimate source for making this valuable and beneficial life change. Packed with authoritative vegetarian and vegan nutrition information from established and savvy experts, this powerful book takes the worry out of making an important, healthy transition. Here' what's inside: Vegetarian food guide for optimal nutrition and easy meal planning; Delicious, easy recipes; Helpful guidelines for those who are just starting out; Cutting edge scientific information for experienced vegetarians; Nutrition essentials from infancy through our senior years; Practical tips for weight control; Much, much more......  .
Foulsham. Very Good+. 2000. First Edition. Softcover. 0572026153 . Pages clean and tight, a little staining inside rear cover and outer edge of pages. Cover has light wear at corners. 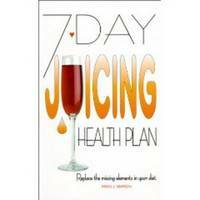 Covers: types of juicers, slimming with a juicer, a 7-day juicing plan, vitamin juice recipes, mineral juice recipes, fresh juice cocktails etc. [327-osl ]; 8vo 8" - 9" tall; 192 pages . Warwick House Publishing. Very Good. 2001. First Edition. Softcover. 1894020979 . Ex-library book, but still in quite nice condition - sturdy laminated cover and usual ex-lib type markings. Internal pages clean and tight, a little soiling to outer edge of pages. Cover has light scuffing and a light wear at corners. A fascinating voyage through the history of humankind's use of pot, from warrior women and trembling kings in ancient Indochina to auto mechanics and outlaw accountants at backyard barbecues in out Des Moines.... ; Large 8vo 9" - 10" tall; 224 pages; (*lower shipping options avail to most locations) [260-osl] . 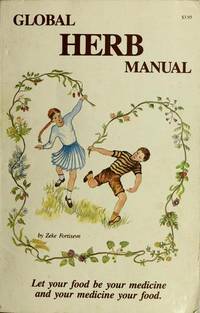 Rodale Press. Very Good+. 1991. First Edition. Softcover. 0878579664 . (culled 7-15 due to pricing) ; Large 8vo 9" - 10" tall; "There are an amazing number of therapies employed by a variety of practitioners which focus on the healing power of physical contact. Some of these are recognized medical interventions such as the Heimlich maneuver , while others are more exotic remedies , such as aromatherapy, rolfing, and do-in, which derive from traditional hands-on healing. This book presents a lively account of the background and theory of each therapy, along with methods of administering treatment, potential benefits, and interviews with patients and therapists...."  . Avery. Near Fine. 2002. First Edition. Softcover. 1583331409 . Excellent condition, clean and unmarked, only very light wear overall, slight edgewear to cover, no creases. ; 8vo 8" - 9" tall; 256 pages; This is the first book to address post-traumatic pain syndrome-an elusive, frustrating, lingering pain that persists well after an injury has healed. Those with the disorder are frequently abandoned by traditional medical care, but this team of authorities on pain management, in conjunction with other experts on alternative healing therapies, present a book that is the best of complementary medicine. 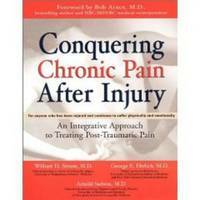 Using a variety of treatment options such as medication, psychotherapy, chiropractic, acupuncture, and massage, the authors offer hope and healing for this disabling condition. [347-noto] . Book Margins, Inc.. Very Good+. 1996. First Edition. Softcover. Pages are clean, tight and unmarked. Cover has some scuffing and light wear at corners. [110-osl] ; 8vo 8" - 9" tall; 88 pages .